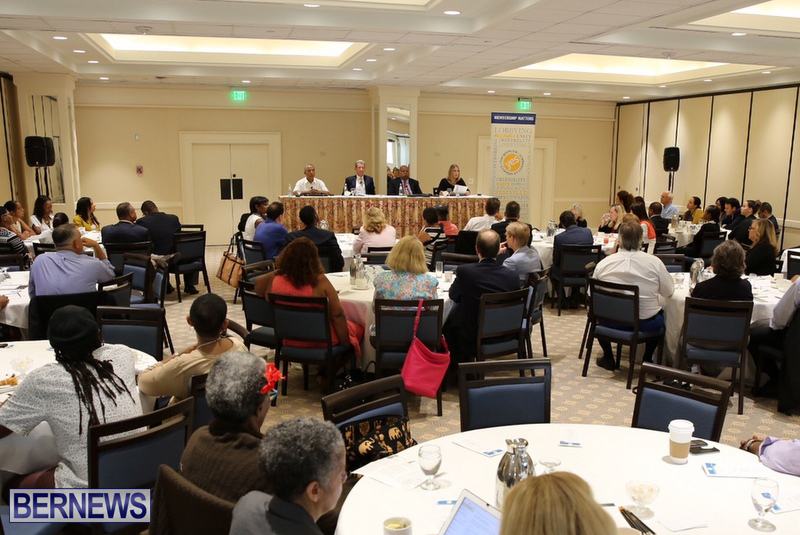 “The 2010 Census showed that 8 out of 10 Black Bermudians were born in Bermuda; but only 4 out of 10 white Bermudians are born in Bermuda, a direct result of the racialized immigration policies of the past,” Lynne Winfield said today. Ms Winfield, from the Citizens Uprooting Racism in Bermuda [CURB] group, was speaking at the the Bermuda Chamber of Commerce’s Panel Discussion on immigration held today [June 16], where she served as a panelist alongside economist Craig Simmons and retired businessman Phil Butterfield, with Chamber President John Wight serving as moderator. In delivering her presentation at the forum, Ms Winfeld said, “History is integral to our present, it provides us with identity, and offers a narrative to explain our place in the world. “However, history told only from a dominant perspective creates dysfunction and imbalance, and contributes to ongoing legacies of injustice, inequity and continued conflict. “Bermuda has historically been a country divided by racial conflict and oppression, 211 years of slavery codified in law [1623-1834] and 137 years of segregation [1834-1971] codified in culture [17 generations]. Ms Winfield continued, “We think of the 1959 Theatre Boycott as the beginning of desegregation, but it wasn’t until 1971 that the last piece of legislation was passed to desegregate the primary schools. “The 1960s to 1990s saw a continuation of the racialized immigration policies – A comparison of the 1950, 1960 and 1970 censuses reveals a remarkable increase in the number of non-Bermudians. “In 1950, a total of 7,387 persons… were foreign born, which grew modestly by 1960 to 8,753. The following decade saw a significant escalation in the foreign born population, an increase of some 66%, to a total of 14,496 persons. [Brown 103]. “Over the last 30 years over 50% of those granted Bermudian Status have been white, whereas the voting population is only 25% white. “The 2010 Census showed that 8 out of 10 Black Bermudians were born in Bermuda; but only 4 out of 10 white Bermudians are born in Bermuda, a direct result of the racialized immigration policies of the past. Polls have repeatedly shown that over 90% of white voters vote for one party. “The people protesting the proposed legislation on the hill understood the very real risk of disenfranchisement. CURB’s research on immigration and demographics has shown that this fear has a very real and frightening foundation based on historical oppression and current economic marginalization. History is integral to our present, it provides us with identity, and offers a narrative to explain our place in the world. However, history told only from a dominant perspective creates dysfunction and imbalance, and contributes to ongoing legacies of injustice, inequity and continued conflict. Bermuda has historically been a country divided by racial conflict and oppression, 211 years of slavery codified in law [1623-1834] and 137 years of segregation [1834-1971] codified in culture [17 generations]. 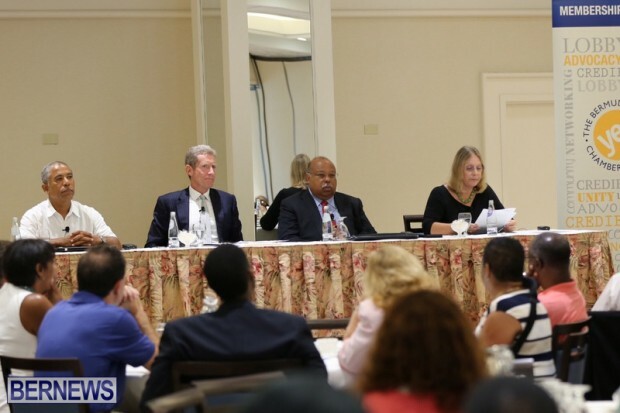 [Bermuda meets two out of three key sources for serious conflict i.e. Exclusion and Conduct of the formerly dominant]. This presentation will show how constant efforts over the centuries to retain power and control the racial demographics in Bermuda was successful. Without that purposeful manipulation the population today would more likely reflect the Caribbean islands, i.e. the majority of African descent or mixed race, with less than 3% identifying as white. In 1623 Bermuda passed the very first Act anywhere in the British colonies to control Black people entitled “An Act To Restrayne the Insolence of the Negroes.” By 1626 the number of enslaved people was so great Chattel Slavery was formally written into law. [1700 almost 40% of population]. Acts were repeatedly passed to deport free Blacks from the island. In 1761 a major slave rebellion involving over half the population was planned; they were betrayed, six enslaved people were hung, others sold overseas, and the Council and Assembly enacted legislation to banish free Negroes and mulattoes from Bermuda. Those who did not leave were re-enslaved. [James Smith –Slavery in Bermuda]. Note Haitian Revolution 1791. Another Act in 1806 stated: “Whereas the black population of these Islands, has of late years increased… in a manner very injurious to the welfare of this Community; and whereas it is thought expedient to adopt all such proper and practicable measures as may be calculated to diminish the relative proportion of the black to the white population…”. [Robinson 13]. The violent threat of being sent or sold south to plantations was one method used to control enslaved Bermudians. Mary Prince [born 1788] is perhaps Bermuda’s most famous example. Sent to Grand Turk Island to work for her Bermudian slave owner Mr. D., who “often stripped me naked, hung me up by the wrists, and beat me with the cow-skin, with his own hand, till my body was raw with gashes.” [Prince 72-73]. The History of Mary Prince: A West Indian Slave, Related by Herself. With Emancipation in 1834, [60% of population] the oligarchy by necessity focused its attention on the vote. Historian Kenneth Robinson states “It was a cold blooded, retrograde piece of legislation which raised the qualifications for electors and candidates for the first time in fiftyfive years…”. [Heritage Robinson 197]. Control was exerted over the Black population through the means of economic violence. If one stood up to the oligarchy one risked not only one’s own job, but those of the family. People were turned out of homes, land lost and future work impossible to obtain. 1842 saw an Act passed to encourage emigrants from England. Kenneth Robinson wrote it was “The first post-Abolition endeavor to increase, instantly, the relative size of the white populations.” [Robinson 218]. 1847 – “… the Legislature voted £400 as bounties to vessels which brought immigrants from Maderia.” [$42,000 today]. [1849 vessel Golden Rule]. For the next 100+ years Portuguese were restricted to only menial jobs. Not viewed as white, many settled in Black communities, worked alongside Blacks, intermarried, became friends, and sent their children to Black schools; as like Black Bermudians they were not allowed to attend white schools. [1982 job category restriction on Portuguese workers finally lifted]. After Emancipation oppressive conditions were so severe that in the next 110 years “… workers were able to mount only three major demonstrations against exploitation of their labour.” [1853, 1903, and 1945]. The first in 1853 saw Black Bermudians protesting against government’s use of taxpayers’ money to import Portuguese laborers to undercut wage rates. “Black people condemned the proposal as ‘the last extreme of oppression’ by a legislature composed totally of white employers to use taxes, to which Black people had contributed, to import to Bermuda competition that was clearly calculated to injure the Black workers.” [Ira Philip 3-4 - Freedom Fighters]. 1920 – The Development Company Act, a Private Bill, enforced widespread purchase of approx. 510 acres of land in Tucker’s Town. Land owned predominantly by Black Bermudians who had created a community and lived there for multiple generations since the early 1800s. They were dispossessed of their land by Bermudian legislators in order to create the equivalent of a ‘Palm Beach of Bermuda’ for wealthy Americans. Professor Duncan McDowall in his published article Trading Places stated “It required a majority of Black Bermudians to surrender their lands to a private company dominated by wealthy whites. The immediate gain was thus a private one.” As “…the colony’s commercial elite equated the project with its own economic agenda.” [McDowall Trading Places 28, 25]. Between 1900 and 1921 the population grew by just over 3,000 to 20,127. [William Zuill 158]. However, in just 10 years the population exploded by over 7,600 to nearly 28,000 in 1931, the majority of whom were whites brought in to work in the burgeoning tourism industry, as Black Bermudians and Portuguese continued to be restricted to menial work. Worried about the growing [and united] Black and Portuguese working class and the fear of losing political control, the oligarchy began a process of ‘empowering’ initially a select few of the Portuguese community, allowing access to loans, mortgages, and education at white private schools and eventually access to white society. Whilst continuing to deny the same to the Black community. The building of schools for the Portuguese in 1931 [e.g. Gilbert Institute] contributed to the widening divide. This purposeful separation using the divide and rule tactics of the past, ensured a rift grew between the Portuguese and Black Bermudian communities, encouraged by the white oligarchy, thus ensuring that many Portuguese would vote ‘white’. In 1940 the UK passed a Colonial Development & Welfare Act following a “wave of strikes and social unrest that swept the Caribbean in the mid-1930s” [Steven High 119]. The Act promised British territories extra funding for social and economic development. Despite tremendous pressure from the UK, the Bermuda government turned down the funding and refused to implement any of the social and labor reforms. June 1943 – saw the commanding general of the U.S. Army’s Fort Bell being told by the Bermuda government that it “would object strongly to the importation of non-white labor and would be obliged to withhold the issuance of landing permits to any non-white Base worker.” [‘Building Bases on a Jim Crow Island - Base Colonies in the Western Hemisphere - Steven High 121]. Dr. Bean’s research uncovered a 1935 government paper called ‘The Report on Unemployment’, which recommended… laws be passed to compulsorily sterilize certain segments [Blacks and mentally challenged] of the population. While the recommendation was never carried out, it did cause a public outcry from both Blacks and whites. What prompted the document was the… realization that the black population far outnumbered the white population. In 1937 Margaret Sanger [birth control advocate and proponent of sterilization and eugenics] was invited to visit Bermuda to confer with Bermuda’s leaders about birth control. Three meetings took place at the House of Assembly with members of the House, Legislative Council, and Board of Health. Her report noted that the birth rate among the coloured people was almost double that of whites, and that two clinics were to be opened, one for coloured people and one for whites. In 1957 – the Bermuda government began a family planning program, which resulted in only 1,000 babies being born in 1966 compared to an average of 1,141 births per year over the previous decade. [1,410 less babies in 10 years]. Today it is argued that these programs were focused primarily at Black Bermudian families and included coerced hysterectomies and sterilization. 1954 saw the introduction of the term Bermuda Status, prior to that under the 1936 Immigration Act there was the concept of deemed domicile. 1956 Immigration & Protection Act – written during the segregation era, it has had over 55 amendments since its introduction. We think of the 1959 Theatre Boycott as the beginning of desegregation, but it wasn’t until 1971 that the last piece of legislation was passed to desegregate the primary schools. 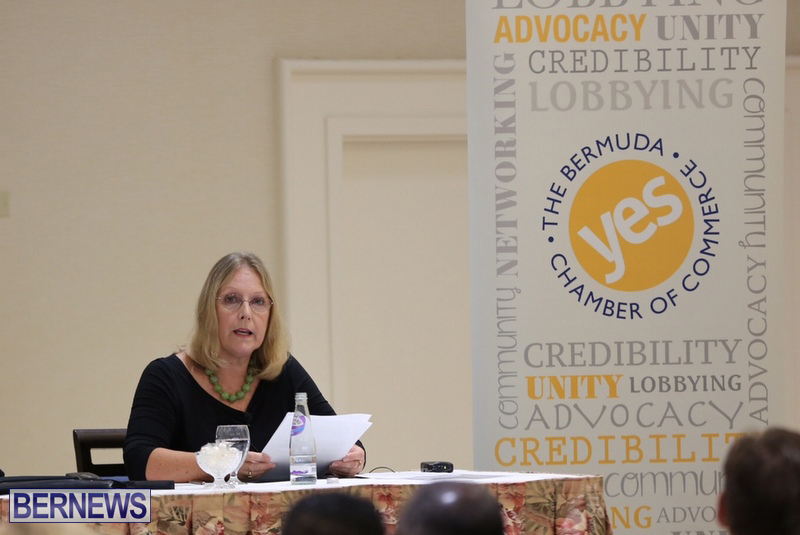 The 1960s to 1990s saw a continuation of the racialized immigration policies – A comparison of the 1950, 1960 and 1970 censuses reveals a remarkable increase in the number of nonBermudians. In 1950, a total of 7,387 persons… were foreign born, which grew modestly by 1960 to 8,753. The following decade saw a significant escalation in the foreign born population, an increase of some 66%, to a total of 14,496 persons. [Brown 103]. Extra “plus” vote for property owners [which predominantly benefited whites]. Voting age raised from 21 to 25. [1,900 young people were disenfranchised]. 1967 – During a debate in the UK Parliament on the introduction of Bermuda’s first Constitution , the Hansard reports a discussion on Bermuda Status, with a speaker in the House noting that out of 706 status applications only 4 were given to Blacks. Over the last 30 years over 50% of those granted Bermudian Status have been white, whereas the voting population is only 25% white. The Pitt Commission following the 1977 riots stated “The importance of substantially reducing immigration and assisting the promotion of Bermudians.” This recommendation was in direct 5 response to the rapidly increasing expatriate population and an acknowledgement of the detrimental effects it was having on the African Bermudian population. In 1985 The Archibald Royal Commission on Drugs and Alcohol – stated institutionalized racism was so bad that it occurred “throughout Bermuda society, in Government, business, banks, churches, schools, Unions, political parties, clubs and courts, and generally seemed to be committed in the name of preserving business traditions and maintaining standards, a fact that made it no less destructive of human life and self-esteem.” [Philip 3]. 1989 Amendment – No more discretionary grants of Bermuda Status after 1 July 1989 [40 p.a.]. This was due to concerns raised by the Opposition that political favoritism was involved in a number of awards, with far more whites than Blacks receiving status. 1994 Amendment – allowed those who have close ties to Bermudian families to obtain status. [Section 20B]. Provided safety of tenure and all rights with the exception of the vote. Only 30 out of almost 200 countries grant citizenship at birth [Right of Abode]. The IMF advise that among advanced economies, only Canada and the United States observe unconditional birthright of citizens, a legacy of their history to encourage immigration after the annihilation of their indigenous populations. Almost all states in Europe, Asia, Africa and Oceania grant citizenship based on the Right of Blood, a principle of nationality law in which citizenship is inherited through parents rather than by birthplace. U.N. General Assembly Resolutions represent the highest principles and standards agreed by the global community. With regard to small colonial territories UN resolutions specifically state 1] that member states adopt necessary measures to prevent the systematic influx of foreign immigrants, which disrupts the integrity and social, political and cultural unity of the peoples under colonial rule; and 2] disrupts the demographic composition of those Territories, which may constitute a major obstacle to the genuine exercise of the right to self-determination and independence by the people of those Territories.” And 3] as a matter of priority administering powers ensure that the exercise of self-determination is not affected by changes in the demographic composition due to immigration or displacement of populations in the Territories. 6 Although the first two Resolutions are directed to the colonial powers, the purpose is to protect the demographic composition in order to preserve the exercise of self-determination via the action of steps to prevent the systemic influx of immigrants. The legacy of this past includes continued economic disparity for Black Bermudians; higher rates of incarceration and stop and search; education inequities; higher rates of poverty, redundancy, unemployment, underemployment and lower incomes. This type of brain drain predominantly occurs in developing countries. It is noteworthy that in Bermuda’s highly developed economy educated Black Bermudians feel forced to look overseas for opportunities. This brain drain must be reversed and Bermudians encouraged to return. 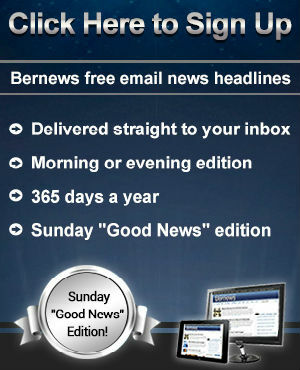 Creative plans for the provision of job opportunities; introduction of robust legislation to protect Black Bermudian work opportunities; an urgent focus on integrating young Bermudians into the workforce; introduction of a living wage; and protection for Bermudians’ who are increasingly being hired for part-time or temporary work with employers sidestepping the need to provide benefits, must all be put in place. The 2010 Census showed that 8 out of 10 Black Bermudians were born in Bermuda; but only 4 out of 10 white Bermudians are born in Bermuda, a direct result of the racialized immigration policies of the past. Polls have repeatedly shown that over 90% of white voters vote for one party. The people protesting the proposed legislation on the hill understood the very real risk of disenfranchisement. CURB’s research on immigration and demographics has shown that this fear has a very real and frightening foundation based on historical oppression and current economic marginalization. We hope that by sharing this information, sensitivity to the issues will be raised; with sensitivity comes empathy, which in turn allows relationships to form. With relationships we can begin the difficult work of consultation and collaboration to create a more equitable Bermuda. How did you get your status Lynne? Watch it Lynne, your own will treat you like Dr. Barbara Ball. What should matter is the fact that she has done the research to formulate an opinion based on fact that many black bermudians understand and have already attempted to address. You sound jealous that she has status and you probably dont. It is quite irritating that she is one of the people who gained status by these policies, but now seems very happy to aim to prevent others from doing the same. I would listen to her much more closely were she to hand back her status since it was gained through these unfair policies. She haa gained an understanding and now is acting. Your reaction in fact strengthens that understanding. Her opinions aren’t based on fact. She gets her basic numbers completely wrong. The unemployment problem is not just affecting the black bermudian population but also the white bermudiana. My brother lost his job as tiler after business when down and his employer decided to let him go along a Indian permit worker, he kept only 3 philippino tilers. Cathy the stats do not support what you are saying. White unemployment at the last survey is calculated a 4 per cent which for all intent means that there is essentially full employment of whites. Now does that mean that all whites have jobs or are gainfully employed? Contrast that with the same survey that show black unemployment at 9%. Let’s put it this way if you were black and your black brother lost his job he would join his uncle, baby brother and his college educated sister on the unemployment line. Not to mention the fact that his father who, as a mason would only be working 30 hours a week. She needs to re check her math. What it means, Lynne, is that young people either stay on in their university towns or move away for work experience, marry abroad and have children abroad and then come home when they can afford to raise a family here! There is no ‘plan’ it’s all about what young people/families can afford. you see bogey men where there are none. Thanks for supporting the ongoing limbo that PRCs of all colors endure because of atrocities we had no part in centuries ago. We appreciate all the effort that you, one of those 6/10 white Bermudians born outside of the island, have done to keep us in the shadows while you go struggle with your complex. “Thanks Lynne” please re-read Lynne Winfield’s brilliant analysis. Half of what she outlined occurred within the last half century and not centuries ago as you suggest. Sadly much of her argument is xenophobic nonsense. In 2010 were 6230 foreign born Bermudians in total so even if they were all white that would mean there could only be at most about 4,000 born white Bermudians… which isn’t the case. In any case most of what she says has exactly nothing to do with the issues we face today and is more of the “blame the immigrants” narrative that Trump has made so popular. I will count at the polls but not in the Census; I opt out. If you are 8 out of 10, you should too! I guess we must be as capable of being as horrendous as our ancestors from 1623 and onwards, according to Lynne. Looks like a lot of virtue signalling going on here. To take a conspicuous but essentially useless action ostensibly to support a good cause but actually to show off how much more moral you are than everybody else. Fred: I see George has changed his profile picture to show his support for refugees. Barbara: Has he donated money or time? Is he giving English lessons? Is he making a room available? Fred: No, no, he’s just virtue signalling. CURB, in my opinion, is a perfect example of a group who fit this very definition. Thank you for the history lesson, here now is the future we face… with the continuing decrease of Bermudian birth rate, there will be less Bermudians left in the future to inherit more of the island. This may at face sound like a good thing for Bermudians, but if there are less residents here, there will be less employment opportunities for those decreasing Bermudians meaning those fewer Bermudians will be at a greater disadvantage to actually being able to afford to inherit this island. Couple that with the fact that those fewer Bermudians will also have to help foot the bill for a seniors population that will be of greater proportion for them, they will be at even greater inability to not only afford this island, but to be in a place where they could help their children to advance in their island. She also does not address the issue of residents here, that have been here contributing for decades not having a say in how their lives are to unfold. The past has happened, there is nothing we can do about that, but we cannot let it stop us from doing what is right for our future. I guess since Eva is getting on….Lynne is stepping up. Ruth First she is not. Segregation ended in 1971 ? Really ? I thought that by the time the public schools were integrated sometime in the 60′s and there were no longer such things as ‘ places blacks couldn’t go ‘ segregation was over . Is this another attempt at re-writing history ? Not sure what they called it at the time but I recall Whitney being desegregated in 1970 and white children being moved out to the private schools. Well Whitney must have been way behind the curve , if it’s even true in the first place. In 1971 I had already been in attendance for 4 years at a well known school that was exclusively white for it’s entire history. I seem to recall a good few families leaving the island for locations such as the US , Canada and even Australia in the MID 1960′s due to the fears of desegregation’s effect on education standards. Were there other institutions outside of the school system that remained segregated in the 70s (or at least, had separate-but-equal-like policies)? Clubs, or churches, etc.? Why doesn’t Ms Winfiels renounce her Bermudian status if she is so concerned about the number of white Bermudians not born here? Hypocritical much? The only hypocrisy only display here is your ignorance, coupled with your refusal to correct that ignorance. My God, some of you people are real monsters when you have the advantage of internet anonymity. Thanks for the history lesson which many of us know already. What does any of this have to do with pathways to Bermuda status? We are surely not uprooting racism in Bermuda by simply affording someone a right to reside and vote. I might have a different dictionary from the lady on the panel, but I thought the definition of racism was not what the government recently attempted to do and explain to Bermuda. One thing some people hate is being called out on the privilege they unjustly have! Immigration is only an issue when it affects them, plain and simple! Some people didn’t care about immigration what so ever when they were colonizing the world and stealing people’s land like it was on sale. Only once they stole the land were they interested in immigration policy. I'm sure you would not wish to mislead the public, so kindly explain the discrepancy or correct your misstatement. Just trust her and her math! She has had this pointed out before but continues to spread misinformation. Many Bermudians, black, white, whatever go abroad to have their children born in a particular country. How many make up the 34% white shown in the 2010 census? How many, Like Lynne, came here and married a Bermudian (status or born)? Her statement has nothing to do with Pathways to Status. Lots of statistics but little research behind the numbers. It’s so interesting when you actually see the facts. Keep us the good work, and watch the economic future evaporate. It is what it is – and we already know it. We all see, hear, smell and live it every day – the injustices or unfairness. Given our history, pathway is not an option for all and any applicant. good thing for Bermuda that fey was stopped. Unfortunately the only thing Lynne Winfield does is create more racial issues by opening her mouth. And the only thing you do is spread hatefulness and despair. What deference does it make if we Bermudians are black or white in a vote, we are all one on the island…Are we from different planets ..
Coming from a non Bermudian! So are you saying whites not born in Bermuda are less Bermudian than blacks born here? Come say that to my face! I just don’t understand why she always going backwards. Are you being paid by the PLP to help divided the people even more if any want to know the history just read books. Why don’t you spend more time helping the people to stop killing each other.